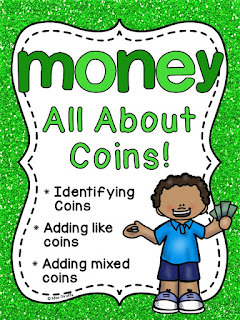 Teaching money is a lot of fun because there are so many money games for kids and, best of all, kids are so excited to learn how to count coins and make change so engagement is at an all-time high. First things first, you want to teach them the actual coins. I think a really easy way to do this is to give students coin manipulatives and introduce each one. Have them each pick up a penny and have them examine it, look at the front and back, and tell them it is worth 1 cent. Walk around to make sure each student is holding the right coin. Ask them what they notice about it. Do this for each coin until you've talked about each coin. You could do a quick practice/assessment at the end of your lesson by saying things like, "Hand a quarter to your partner!" "Grab 2 pennies!" in a quick, fun fashion. Once you've gone over all of the coins, give each table/group/partners the sorting mats for each coin and a lot of coin manipulatives to sort onto the mats. You could also make this an independent center or do it in small groups. 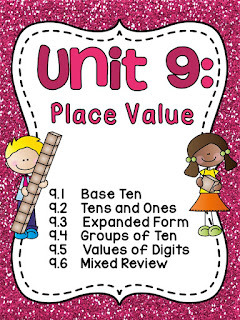 I also like to add posters to the math wall so they can reference them when they need help. They can practice distinguishing between coins with cut and paste work where they color the coin and then sort it into the correct box. Coloring it the correct color, copper (brown crayon is fine) or silver, will also help them internalize the difference so I recommend starting with the sorts that have a penny. I made one to sort each type of coin (pennies/nickels, pennies/dimes, pennies/quarters, nickels/dimes, nickels/quarters, etc.). Each one comes in FRONTS only so they just have to recognize it by the front of the coin and also a fronts and backs version where they're sorting the same coin no matter what side is showing. Start with the fronts only and then do the fronts/backs versions to scaffold it. Simple coin distinguishing tasks like "Color by..." type worksheets are great for practicing identifying coins with help. Once they know the front and back of the coin pretty well, you could add in the extra element of value. Another super fun way to practice coin identification is to use MAZES! For these students are looking for a certain coin (in this example, a penny) and they color their way to the end of the maze! Speaking of hands on and tactile, we all know I LOVE DICE. Dice is just the best. It makes any concept seem like a game. I made coin dice so students can roll and cover the coin they rolled. As you can see, they are simply rolling the dice and coloring in that coin. It's a great center they can play by themselves OR play with a partner. To play with a partner, they each need their own mat. Then, they each take turns rolling the dice and coloring in that coin on their mat. If there aren't any left of that coin, they don't color anything in and it's their partner's turn. Whoever can color in their entire mat first wins. I also made BACKS versions of the mats so you can have them roll the FRONTS dice but have to figure out which BACK it is to color it in. This is awesome practice for matching fronts/backs as the same coin which can be a hard skill but with a game like this, they won't realize it. I also made a BACKS dice so you could have them roll the BACKS dice and match it to the FRONT on their mat. You can also have them do the BACKS dice and BACKS mat for easy matching that way. A great way to build up their skills is to do the fronts mat/fronts dice then the backs mat/backs dice, then the fronts mat/backs dice, and then the backs mat/fronts dice so they get 4 different centers out of it and a ton of practice. If you notice above, you can also use coins to cover the coin you just rolled instead of coloring it. This is nice because it is tactile for students and makes the mats reusable over and over. I really don't think you can have too many centers and practice. The more kids do themselves and presented in different ways, the more they absorb. This is a simple match center. They can match just the front of the coin and the name if you want to keep it simple. You can add in the backs too or the value... however you want. I also included little blank squares so you can write in any other coin facts (who's on the coin, etc.) you want them to sort. The above version is a little easier and this is the 4 piece version which is slightly more challenging. I try to differentiate absolutely everything but keep it looking somewhat the same so it's not obvious but everyone gets what they need. Another fun center for identifying coins is Grab & Graph! Give students a little bucket of coins and some sort of scoop like a small measuring cup that will allow them to get 3-6 of each coin so they can scoop, sort their coins, then color in the bar graph to show their scoop. They can do it twice (or 4 times if you copy the recording sheet back to back). This is a great way to integrate some graphing practice in as well! I also made a data analysis sheet for students up for the challenge to answer questions about their graph. To make it even more challenging for your really high kids, you can copy it front to back so they analyze both grabs. I think it's so important to integrate concepts any time you can to build those connections which brings me to.... skip counting with coins! Your students most likely practice skip counting during calendar or morning meeting so hopefully they can count by 5s and 10s because that will SO come in handy when adding like coins like nickels and dimes. I recommend pulling them into small groups and using coin manipulatives to have them practice counting pennies, nickels, and dimes by 1s, 5s, and 10s. Give them a pile of pennies and have them count as a group 1, 2, 3, 4.. etc. as they push each coin out of their pile. Then do the same thing with a pile of nickels and count 5, 10, 15, 20, etc. pushing a nickel out of their pile into its own pile as they say each number. Then do the same with dimes and counting by 10. This can be really difficult for some kids but if they already can skip count and are seeing that each coin is worth that much by physically moving it, it'll help a ton! So those of you who know me know that I provide 3 levels of every worksheet in my math units - level B is on level and should be appropriate for most of your students, level A is for those who need a little extra help or less overwhelming work, and level C is for those students who crave a challenge. Above shows 3 levels of the same worksheet. Level A (blue dimes) has less coins on the page, they're bigger, and the amounts are smaller for them to color in that amount in dimes. Level B (green dimes) has more dimes and bigger amounts. Level C they write in the amount themselves. Encourage them to count by 10s as they color in each dime. They can even write counting by 10s above the coin for extra support if that helps them, like I showed in the Level C example. I really recommend A LOT of practice with adding like coins (only adding pennies) before you start having them add mixed coins. If they can really master adding like coins, it'll make it much easier. I wanted to provide a ton of practice so I made this adding like coins center where they grab a card, add it up, and write the amount in cents on their recording sheet. There are 9 cards in a set labeled A-I and I also made a recording sheet to write them all down, as well as an easier recording sheet with letters A-F if you want to give struggling students only 6 cards to do at a time. I made a full A-I set for every coin (pennies, nickels, dimes, quarters) so there are 4 different centers. I definitely recommend doing all 4 of the centers (separately, on different days) to get all that practice in. When teaching adding like coins, I think it's best to start with adding pennies and have all of your activities/centers/worksheets be JUST adding pennies until they fully master it. Once they master pennies, move onto nickels and all of your worksheets/centers/activities are adding nickels and counting by 5s. Then dimes, then quarters. If you have them doing them all right away, you'll confuse them. When you first introduce the concept, you can show them how different coins have different values and how you'll be learning all of them but I would practice just one at a time, each until mastery. Once you're done practicing all 4 of the coins, these also make a good review center. 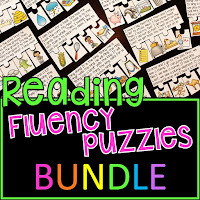 Mix and match them to make a bunch of different review centers. Just make sure you only have one card for each letter A-I (or A-F with the easier recording sheet) and it's an instant review math station. Another fun way to practice adding like coins is with cut and pastes. They color all the pennies then glue them into the boxes to make each amount. I made them for each coin but, again, I recommend focusing on adding 1 type of coin at a time. I know a lot of people only teach counting coins up to a dollar but I include quarters too to challenge the kids who are ready. Plus learning about quarters can be really helpful as a meaningful connection when you start learning about fourths in fractions. It also exposes them to the $ sign and what that means. Once they're mastering skip counting with coins, these coin sheets are a great review worksheet or mini assessment to see how they're doing. They write how much the coin is worth, color in the ones they see, and then show that they can add the like coins together by coloring them in. Like I said, it's a good assessment and so are the other worksheets you can kind of peek at in this picture. For the Rolling Coins center, I recommend using the dice without a quarter unless you want to really challenge them. Give them the coin dice and they roll it alongside a regular dice. The coin dice will tell them which coin and the regular dice will tell them how many of the coin they take. I recommend having real coin manipulatives for them to take once they roll it. Then draw what they see in the box - (D) is for dime - and then total it. They'll play this game again once you start adding mixed coins by rolling twice (or three times if you really want to challenge them). It'd be the same thing but they roll twice to get 2 different sets of coins to add. So, as you can see, their first roll was a 3 and a nickel and then a 2 and a dime which made (N)(N)(N)(D)(D) and totaled 35 cents. There are SO MANY fun activities you can do for adding mixed coins! Don't move on to adding mixed coins until they completely master adding like coins but, once they do, this skill is fun! My favorite game for adding mixed coins is "Fill My Piggy Bank!" For this center, each kid playing gets a piggy bank mat. There are 4 different colors and a black/white option. You laminate the mats so that they can write their amount in the corner with a dry erase marker. Each kid takes a turn rolling the coin dice. They take that one coin and place it on their piggy bank mat and write how much they have in their piggy bank. For example, if they rolled a dime, they'd put a dime coin in their pig and write 10 cents. On their next turn, they roll a nickel. So they add a nickel to their mat, erase the 10 cents, and write 15 cents. Every single turn they are adding coins so it is A LOT of practice. It's a great small group game so you can monitor as well as a good partner center. I recommend playing until someone reaches a dollar or you can differentiate easily by telling them they're racing to another amount like 50 cents. It is my favorite!! I also made a bunch of worksheets to practice. Normally I recommend giving kids different worksheets to differentiate but I think for this concept, everyone should start at Level A which only practices mixing 2 coins at once and not very many of them. I made a Level A sheet for every possible mix (pennies/nickels, pennies/dimes, nickels/dimes, etc.) so this one, for example, is adding dimes and pennies only. For some kids, this will be a struggle to start skip counting a different way when they get to a different coin. A lot of them will keep skip counting by 10s even when it switches to pennies. It just takes practice. It might help to also give them coin manipulatives to use on the side as they do this. Something about seeing the real coin helps. You can also have them write 10 above the dimes and 1 above the pennies if that helps them. Level B also only practices 2 coins at once but has more coins for each problem. Once they master the A worksheets, move on to the level Bs. There are a lot of different worksheets so you could have students move at their own pace as well. Once they can do the Level B worksheets, Level C has mixes of any amount of coins and are any of the coins put together. I do put them in value order always because I think that's an important lesson to teach is to put the coins in value order before they start counting them up. For example, if they have 4 pennies, 1 quarter, and 2 nickels. They'd put the quarter first, then the nickels, then the pennies before they started counting them. It just makes it so much easier! I also think they should be able to pick coins to make amounts like this to sort of flip flop the skill. This one takes it a step further for more of a challenge and they have to draw their own coins to show how they made the amount. I highly recommend giving them coin manipulatives to build the amount first like I'm showing here. Once they find how to make the amount with the coins they have, they can draw it in the box like so. I also bring back the Adding Coins center again but this time with mixed coin cards! This one is for your students who need a challenge!! Have students build the amount it asks for with the least amount of coins. They have to do it with the least amount of coins or there won't be enough to build the rest of the numbers. So they cut out the coins at the bottom and build the number. A good way to teach them is to sort their coins by value and use as many of the biggest value coins as they can before they have to switch to the next value down (for example, use quarters to make the number as high as possible without going over until they need to switch to dimes or nickels). Like I said, this is a super challenge. As you know from my how to keep gifted learners engaged and learning post, I care a lot about challenging the high kids and not just sending them off to do something else when they're done so this is a perfect thing for your super high kids to do while the other kids are learning. Other great challenges for your high kids are comparing the values of sets of coins. This is a great skill for any of your kids but it can be challenging. You can have them determine which set of coins has a greater value using the greater than, less than, or equal to symbols which is a great way to integrate and practice that skill! You can also use the "Adding Coins" center cards to practice this skill in small groups or centers too. Have students take a stack of those cards (mix up the 'like coins' and 'mixed coins' for a big stack) and play War with them. To play War, they flip all the cards upside down and each grab one from the pile - whoever has the biggest amount on their card keeps both cards - and they continue to do this until the pile is empty. Whoever has the most cards when the pile is empty wins! You can also have them take 2 sets of the same coin to see which is greater. This is a concrete way for them to see that you can have more coins but less value depending on what coins they are. For example, you have 8 pennies so you have more coins technically but the value is less than 3 nickels. Have them pick those amounts out in coin manipulatives to count and compare them before they decide which is bigger. aaaaaaand last but not least.... money word problems!! I think their ability to solve money word problems is the most important part of all of this because it's what they'll encounter in real life. Students match the 3 parts of each word problem: the word problem, its representation in coins, and the sum/answer. Phew! 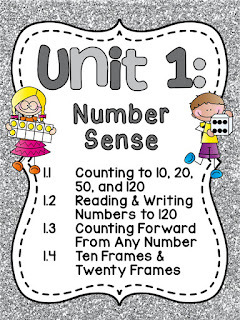 I hope that helps you with some fun ways to use this unit or to teach money to your littles! I also have this unit in a UK coins version and an Australian coins version and a Canadian coins version! Hi. 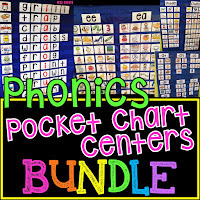 I see a lot of great ideas here I would love to teach my 1st grader this summer. 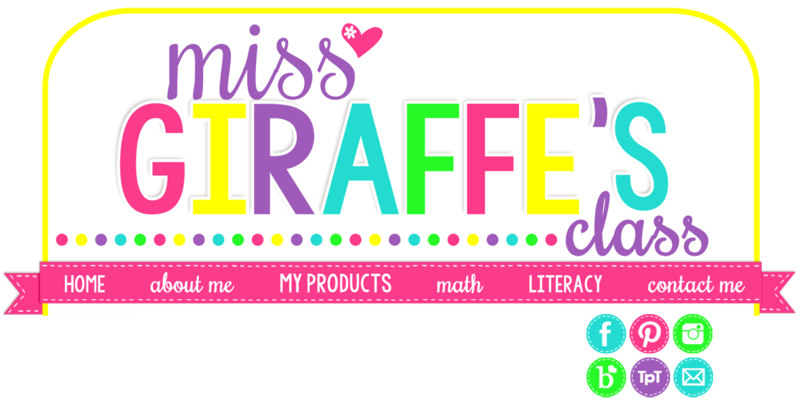 Is there a link for printables?